Well winter sure arrived this morning. It was only 18F out when I went to work. Possibility of snow tomorrow too. Yikes. 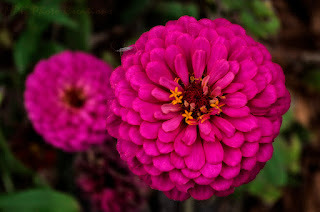 :-) So now, of course, I am dreaming of summer and flowers again. At least this time of year is festive. 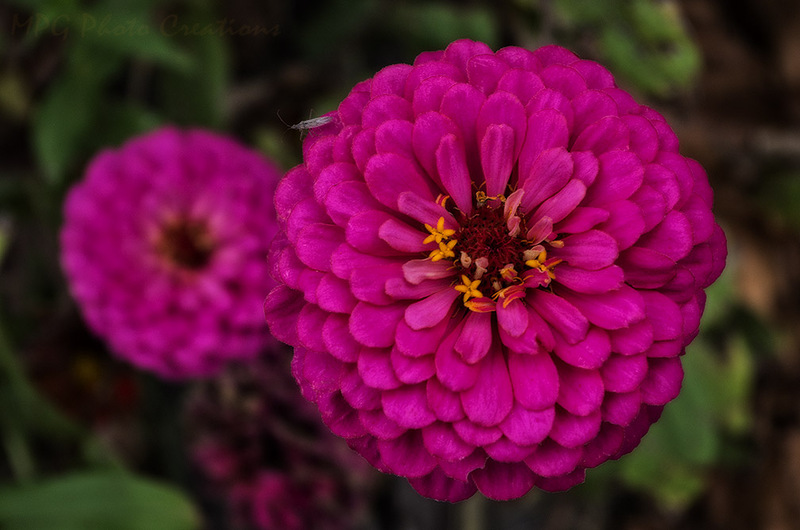 My image today is of Zinnias in my garden and one has a buddy on it of some type. I like the bokeh produced by the second one and the leaves behind as well plus a nice bright color and undamaged flower bloom.